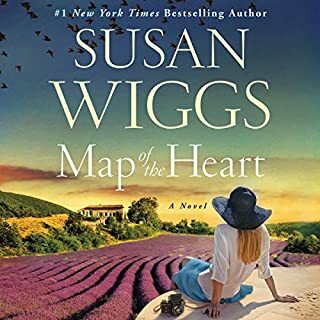 I thought Susan Wiggs's early books were really great. In this book she gets back towards those early efforts. The book is not as formulaic as some from her Lakeside series. But it still lacks the gritty real life characteristics of her first novels. The narrator is weak. I was able to continue listening. But she doesn't have very good read them or sensitive matching her voice to the level of intensity of the passage in the book. And her male voices need a lot of help. This book will shake your foundations! 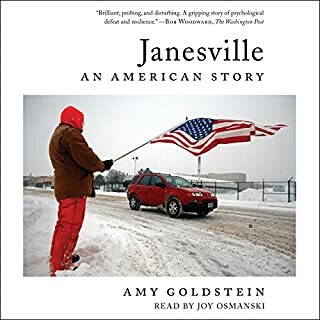 The book is a powerful commentary on the impact of job dislocation, the difficulties of addressing it and the incredible resiliency of some people. Nearly 40 years ago, a New York State Library archivist discovered 12,000 pages of extraordinary records from the original Dutch colony on Manhattan. After decades of painstaking translation, the documents became the primary source for this breathtaking history of early New York. I really enjoyed this book. The early history of NYC was fascinating. The narrator was especially good and did an excellent job with Dutch surnames and places. The only thing that bugged me was that the author was a little to obviously intentional about the fact that this history is just emerging and he was one of the first to tell it. i just wanted to hear the fascinating story. It was a small flaw however, in an otherwise excellent listen. 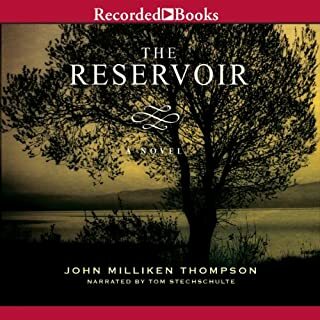 The author of numerous works of historical nonfiction, John Milliken Thompson put his extensive researching skills to good use when penning his critically acclaimed first novel, The Reservoir. 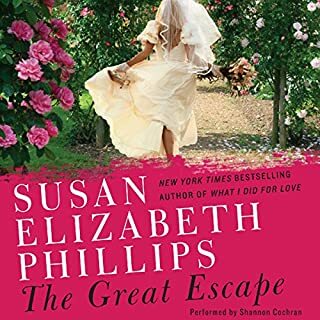 Based on real events in 1885 Virginia, Thompson’s gripping tale is the story of a pregnant woman found floating in the city reservoir - and of the shocking details that emerge during the subsequent investigation. Tom Stechschulte has been one of my favorite narrator's for years. I bought this book because Stechschulte was reading. It was very good. This book was fascinating. 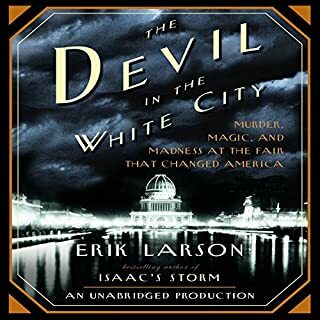 The combination of a mystery and the history of the Chicago fair worked for me. I really enjoyed Scott Brick. 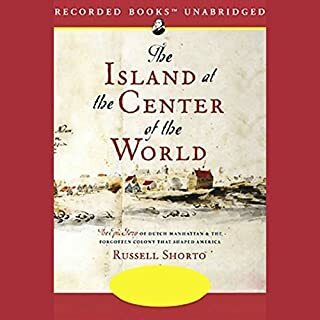 If you like listening to popular histories, this is worth your time. How wonderful to revisit an old friend! 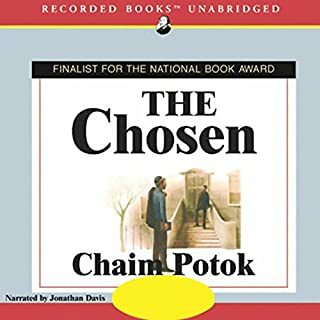 I first read The Chosen as a teenager. I loved it then. Listening to it now, 40 years later after raising children of my own, it had even more meaning to me. 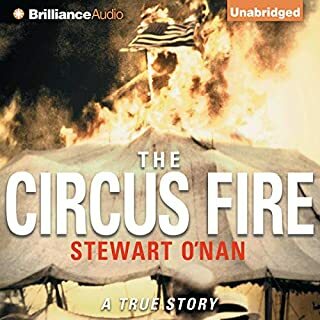 Jonathan Davis does a terrific job with the narration. The story of two Jewish boys in NYC at the close of WWII and the birth of the state of Israel is a compelling narrative of friendship, family and culture, with world politics woven in. The passage of time since the book was first published has only served to underscore its importance. There were times listening to this book that I was jut torn apart! 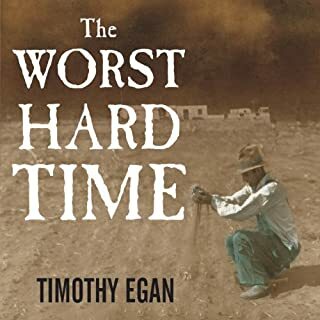 It was a riveting story of survival, perseverance, the failure of government. Incredible story. I enjoyed this book. Its vintage SEP -- not her vest, but still funny and interesting. I see from other reviews that folks are struggling with the narrator. After Anna Fields for so long, its hard to adjust. this is particularly true when the book involves characters from other stories (as this does) and the characterization is different. that said, i thought it was a solid narration. My biggest criticism is that this narrator does not do kid's voices very well. I really enjoyed this book. It was interesting and intriguing. The narration was excellent. I gave the book a 3 because I think the writer takes too long to resolve a couple of the story lines. this book was riveting. 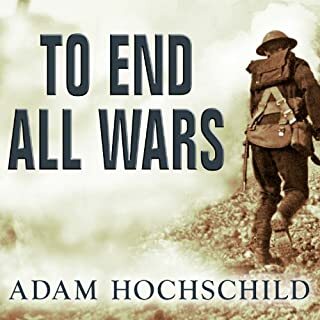 I felt the author did a great job weaving many disparate threads into a seamless narrative portraying the failures and challenges of WWI from Britain's perspective. At first I didn't think I would like the narrator -- much more intellectual and not as much character portrayal than I tend to like. But he got under my skin and I really enjoyed his approach.